What payment options does your company offer? We accept payments by debit and credit cards of Master and Visa via Paypal, internet banking, fund transfers, cash and cheque deposits. Do you offer Cash-On-Delivery(COD) options? Do I need to notify your company after making payments? We strongly advise you to notify us by e-mailing your transaction detail/proof of payment to wesupport@whiteeastern.com after each payment. Although we will usually be able to receive automated payment notifications, keeping us notified directly is to minimise any unnecessary shipping delays for your order. Normally within 3 business days for in-stock products, and within 14 business days for pre-order products, after day of payment. How are the shipping fees applied to my orders? We simply total up the shipping rates with your order according to up-to-date rates from the respective courier service provider in-charge of your delivery, on weight and location basis. Combined delivery of orders definitely could help you save from low delivery costs. Is there any way I can save up on shipping charges? Combine orders or shipping can definitely help you save on courier charges. If you are residing near location of our office, you can arrange for a self-collection at our office for a zero shipping cost. Which courier company/service is engaged for the delivery of my purchase? By default, Poslaju National Courier will be engaged for delivery of your purchase, unless otherwise stated. Can I request for another shipping option? Yes, however you must agree to the following conditions. White Eastern Sdn. Bhd. will not be responsible for all damages/lost parcel caused by engaging the requested company/service. All surcharges incurred through engagement of the requested courier company/service will be borne by buyer. Which days do you make deliveries? Delivery service only applies on Mondays to Fridays, excluding Public Holidays. Local deliveries usually take 1 to 3 business days by Poslaju National Courier. Shipping duration varies between other courier companies. How do I know when to be prepared for a collection? After your parcel is dispatched for delivery, a delivery notification e-mail with tracking details will be sent to you on that same day, a seperate SMS notification will also be sent to keep you aware of the delivery, it is therefore important that you provide us with valid contact information. In cases where you could not locate our e-mail, kindly check and make sure that our email account did not filter our mails, for example, filtered to the Spam/Junk mail sections. How do I trace the delivery progress of my parcel? Instructions will be provided along with our delivery notification email. What happens if I missed my collection for a delivery? If you missed collection for your parcel in a delivery, you should contact Poslaju to arrange for a re-delivery, or self-collect it from their office in which they will assign you with. I want to self-collect my parcel, but when must I collect it? If Poslaju National Courier is unsuccessful in their delivery attempt, they will bring your parcel back to their office in which you have to make arrangements for re-delivery or self-collection. However, if your parcel is unclaimed within 14 calendar days from the day of their unsuccessful delivery, your parcel will automatically be returned to White Eastern Sdn Bhd. What if my parcel goes missing during the delivery process? Your order will be fully replaced at no additional cost or refunded in store credit form, however this is not applicable if the Track and Trace system of Poslaju reflects a successful delivery for your parcel. Not at the moment, currently we make deliveries only within Malaysia. Does all your products comes with warranty? All products above retail value of RM120 are covered with a 1 year limited warranty, and products below retail value of RM120 are covered with a 7 days return policy. What if the product I received is faulty or damaged upon delivery? In the rare circumstances that you received your product in a faulty or damaged state, you can make a request to us for a one-to-one item exchange for the same product, or get fully refunded at the retail value of the product in store credit terms. What if I don’t really like the product upon delivery, can I get it refunded? Yes for most of our products, kindly notify us and request for a product return for the unworn item, we will guide you through the product return process. Refunds will be processed after the return of a product, in store credit terms. How do i inform your company to request for a product return? 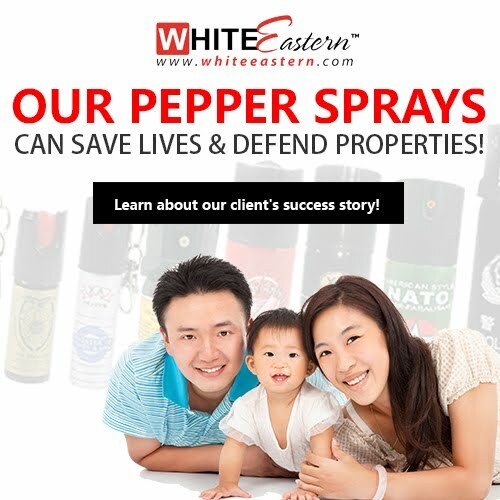 Yes, please notify us by emailing to wesupport@whiteeastern.com and we will guide you through the product return process. I need to return a product, anything I should take note of? All product returns must be preauthorized by us, returned with their original packaging, and ensured that the returned product is in the same condition as when you sent it. Items without original packaging nor returned in the condition you sent will not be exchangeable/refundable. We strongly advise buyers to provide returning products with reasonable protection before returning to us. What if the product I received is not according to the order I placed? Delivered items not according to invoice can be replaced at no additional charges, including difference in quantity, model and colours. How long will it take for my product exchange/refund to be processed? Once we received your returned item, our Quality Control will have to assess the returned product. Your request will be processed within 1 to 3 business days after product returned. Do you have a Returns and Exchange Policy so I can find out more details? Yes, we do have a detailed Returns and Exchange Policy. The item I want is out of stock, what should I do? Kindly contact us for further information. Sorry, we do not offer this option. However you can purchase and have it delivered at a later date of your preference. Can I visit your office to view and test your products? Yes, kindly contact us to make an appointment. I can’t find my answer in your FAQ.